I love the way you believe in me. The way you make me believe in myself. This quote is all about that strength you get from having your loved one believing in you. When he or she believes in you and when that makes you believe in yourself. When you are there for each other, when you believe in each other and when that makes you stronger. If you have someone amazing in your life that makes you believe in yourself like this, then make sure you tell him or her how much you love that by sending this quote! 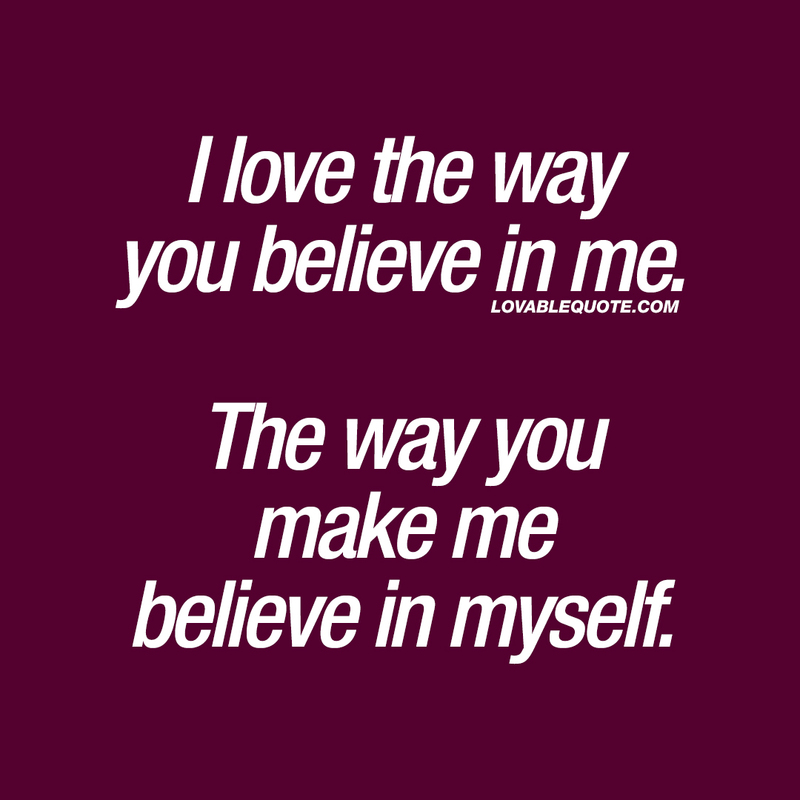 This “I love the way you believe in me” quote (text and image) is copyright © Lovable Quote 2018.